From May 20, the price to travel on the Heathrow Express will see an increase during peak hours of 6.30am-9.30am. Prices will rise to £25 from £22 for the 15 mile mile train journey. Although for a singular person to make the journey it works out cheaper, if 2 or more people are traveling together it could actually cost less to travel directly to your designated terminal in a licensed London taxi. Depending on where you are in London, a journey to Paddington station in one of London's iconic black taxi's could cost you anywhere from £10-£30, where a direct trip to Heathrow airport ranges between £50-£90. If you combined the cost of a taxi ride to Paddington station and then two or more Express tickets, you are probably looking at a minimum of £60. 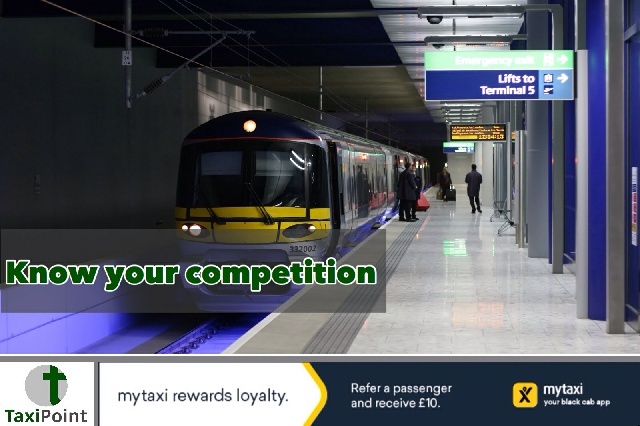 It's well advised to speak to your passengers who are heading to the Heathrow Express to see if it would in fact cost less to travel directly to the airport without the hassle of dragging luggage from one mode of transport to another.